I'm a little late with this but it's still worth sharing. because I worked really really hard on it, I did. 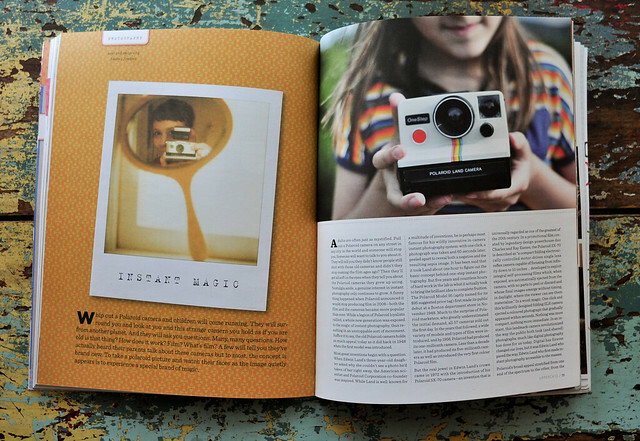 it's my piece on polaroid/instant photography in UPPERCASE magazine (issue ten) and a bit of a love letter to edwin land, the impossible project and just about every polaroid camera I've ever owned. beautiful work, as always. you rock sister. Very nice!! 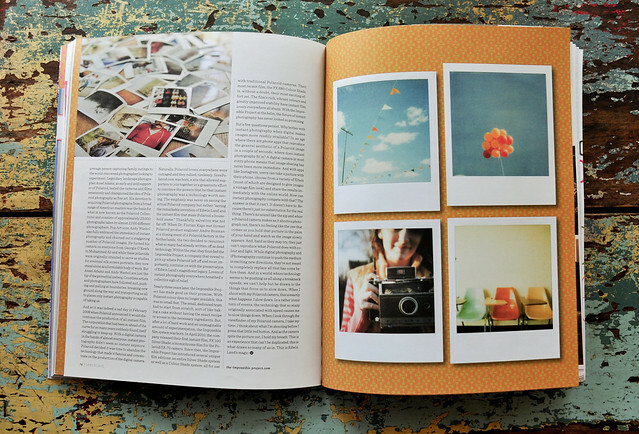 I have a funny Polaroid story for you. Way back in 1978, Polaroid came out with something called Polavision. It was an early version of a VCR. You record a movie with your new Polavision camera, put it in the Polavision box and it was a projector. That's about as much as I know about the technology of it. Anyway, as a promotion that Christmas, anyone who bought the camera got a free visit to their home from Santa Claus. I was one of those Santas. (Although it was tough explaining a female Santa!) As it turned out, they didn't sell many of them, and in the Dallas area, there were 20 Santas on payroll with nothing to do. So, we were sent to local stores (I was at K-Mart) where we wandered the store offering free regular Polaroid pictures with Santa. I never made a single home visit. I had just met the man who became my husband 3 months later, and he would come to the store and spend the day wandering with me, taking the pictures. It was an interesting way to get to know someone new, and after 32 years, we still consider them some of our best dates. The Polavision was a flop and I think it was discontinued the next year. oh my goodness!!! That is amazing! I have to find that magazine by me and pick it up. Congratulations! LOVE that piece in Uppercase. So happy you are getting more of your stuff out there and more people can see how totally awesome you are!! I had a chance to stop by the gallery. Really great contributions from everyone involved. So fantastic!! I can feel the love you put into this. What a great accomplishment!